Everyone around the world is fascinated by the British royal family, and we always want to know every detail about this family. We know they have a lot of rules that they have to follow, but some are just weird and we don’t quite understand why are they there. 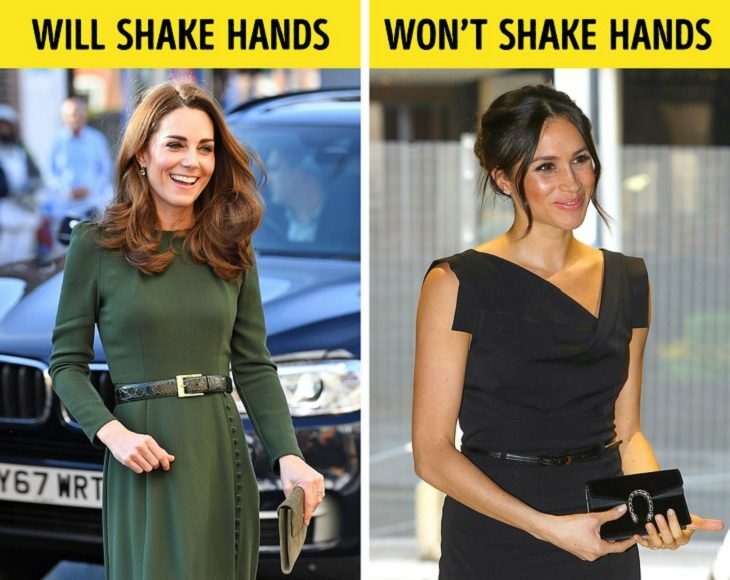 There aren’t any strict rules of royal family holding hands or kissing in public, but since Prince William is the future King of England, it would be inappropriate of him to do so. 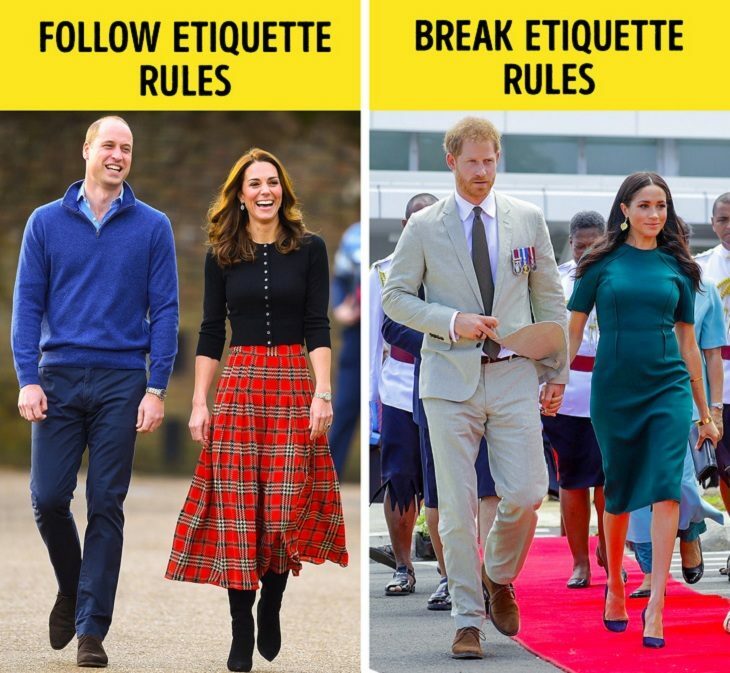 Meghan and Prince Harry don’t follow this rule, as they are 6th in the line for the throne. 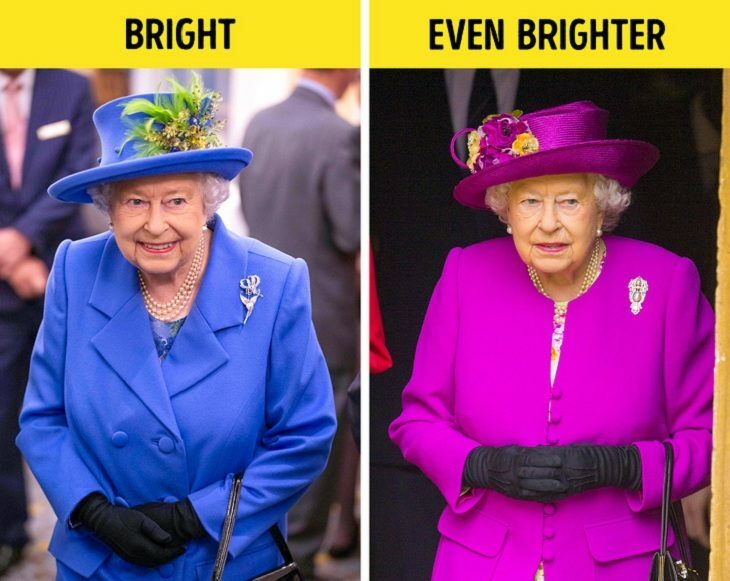 The reason why Queen Elizabeth II is always wearing bright colors is that she could be easily recognized in a crowd. Black outfits are worn only for mourning ceremonies. They don’t need to use a surname due to their popularity, but they do have a surname – Mountbatten-Windsor. A royal dress code is to always have a small bag when you are out. That way they can shake hands, or not if they don’t want to. In that case, they hold their bag with both hands. 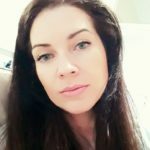 Small bags are also handy when there is an uncomfortable situation, regarding their outfits, and the bag helps them cover things up, like when they are exiting a car. 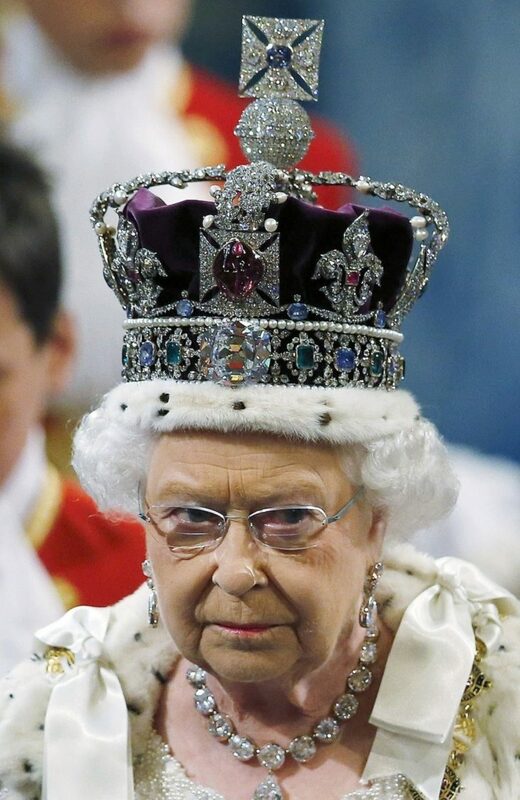 When a reigning monarch dies, or abdicates the throne, the next in line is to take over. 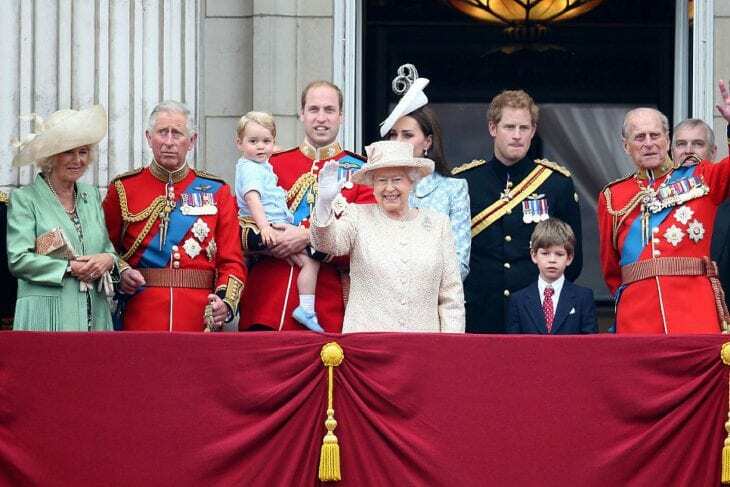 Queen Elizabeth II is currently the Queen of England, and her son Charles is next in line. Even though the Queen is soon to be 93, she is still in great shape, and she is still attending numerous royal engagements and events. 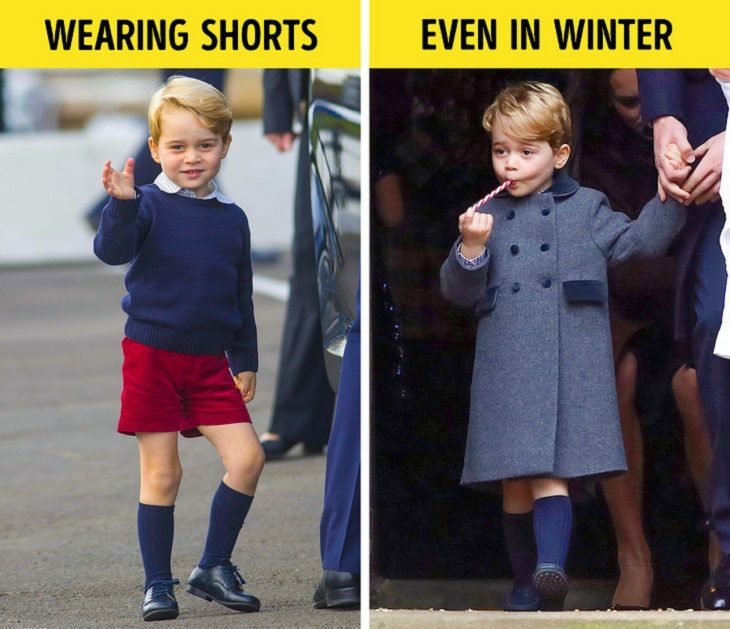 There is a royal tradition for boys to wear shorts, even during winter time. That is why Prince George is always in shorts, and he will switch to pants when he turns 8. 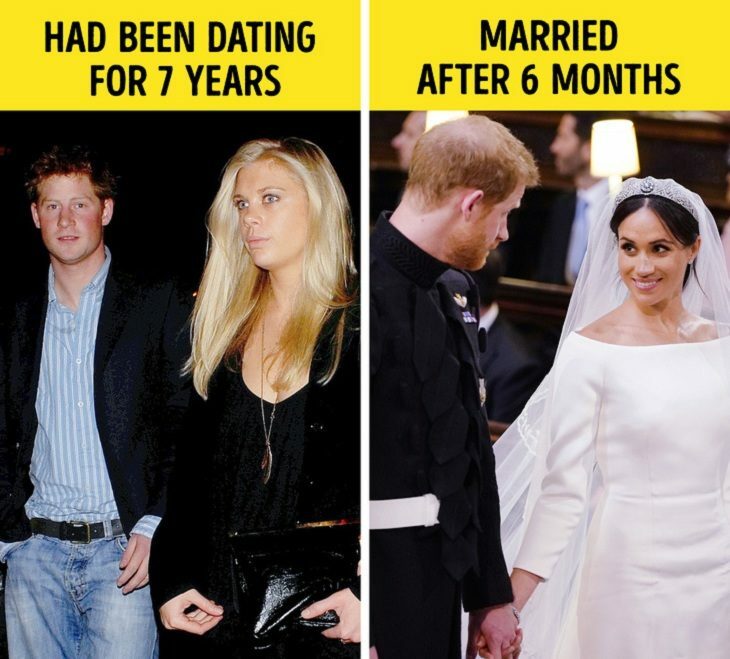 Prince Harry had been dating Chelsey Davy for seven years, but he ended up marrying Meghan Markle after only six months. Some think they married so quickly because his time was running out, and Queen Elizabeth II wanted to see his grandson marrying before she died. Other think that that was actually true love, and therefore, why wait?